Just like 2017, digital marketing will be very important for your business in 2018. While these points are not the only areas you need to focus on, this “alphabet” of digital marketing will be a great starting point to pave the way for your digital marketing success next year. Check out our A-to-Z list of digital marketing for 2018! AMP: In 2016, the Accelerated Mobile Pages (AMP) project was launched by Google and hundreds of online publishers. The goal of this project was for publishers to create mobile-optimized content once and have it load instantly everywhere without ads, clutter, and unnecessary elements to slow down the loading. If you haven’t already, set up your website to be a part of this enhanced user experience feature. Blogging: It’s one of the more tedious SEO strategies you’ll have to deal with, but there are so many benefits from blogging. Start planning out your content calendar for 2018 to streamline this process (you’ll be thanking yourself in the future). Content: You know The King made the list! Content is going to be just as important (if not more important) in the New Year, which is why producing quality content still needs to be a priority. Data: Google Analytics will give your business a slew of data to utilize for your ongoing efforts. If you don’t have Google Analytics set up on your website yet, that needs to get done yesterday. Email marketing: Even with social media, SEO and content marketing growing in popularity, email marketing is still one of the most effective ways to reach your audience. It also has a crazy-high ROI of 3800%, so don’t nix this from your efforts just yet. Facebook: With a recent plugin release for businesses to use its Messenger on their website, Facebook is still the most important social media channel for businesses. Gutenberg: Attention all WordPress website owners: this is a name that’s about to rock your world in 2018. This will be the new standard editor for websites, and it’s something you need to prepare for. We highly recommend watching the live demo from this year’s State of the Word to fully understand what the backend of WordPress-powered websites will look like in mid-2018. High-quality images: It’s so sad when a beautifully-designed website is full of poor images. Make sure your images are optimized for the web and have a good resolution. Improvements to your website: Ongoing website maintenance is really important for your website’s safety. Once you’ve launched your website, put a plan in place to keep your plugins, themes and core updated, as well as daily backups and malware scans. Join a local Meetup: This tip expands past digital marketing; there are local Meetups for just about any topic you can think of. Our A Brighter Web Meetup discusses WordPress from the developer, user, and business owner perspectives. If you’re in the metro Atlanta area, stop by for some free advice about WordPress, digital marketing, and more. Keywords: Keyword research is something that cannot be ignored, as it’s an essential aspect of any search engine optimization (SEO) effort. While we use Moz as the main tool for our customers, there are other great resources out there to help you find strong keywords for your website. Perform keyword research some time in Q1 and tailor your website’s content and blog posts around them. Landing pages: If you’re running any sort of digital campaign to move your audience down the buyer’s journey, a landing page is an important part of it. Make sure your landing pages are following the best practices for optimal results. Mobile-First Index: Google has already started rolling out its mobile-first search index on some websites, but it’s expected to roll out broadly in the next few months. In case you aren’t sure what this is, it basically means that if your website is not built to cater to your mobile visitors, it could hurt your site’s authority and relevance for your space. For your reference, Search Engine Journal published an awesome article to better prepare your website for this transition. Nurturing: It takes a lot of effort to convert a lead into a customer, ranging from multiple interactions to strong third-party reviews. The nurturing process of these leads can be a daunting task, but once you’ve identified your core goals and objectives, it’s easier to create a nurturing email campaign tailored to them. Optimization: This doesn’t just apply to your content. By definition in marketing, optimization is improving your content, landing pages, ads, emails, and more to increase traffic, engagement and conversions. No matter what digital marketing efforts you’re working on, you should always be aware of optimization. Plugins: For WordPress websites, plugins are a big part of our box of tools to create stunning, one-of-a-kind websites. Check out our list of favorite plugins and see if they would be worthwhile for your website. Questions: It’s a broad objective, but the best digital marketing efforts a business can provide is to answer your audience’s questions. Think about it: when someone is using a search engine, they’re looking to find answers to their questions. The sites that can answer these questions the best will see their rankings reflecting that. Keep this in mind when developing your content (FAQs pages are a great place to start). Responsive web design: Going back to the mobile-first index point, responsive web design is the standard for websites nowadays. Don’t let your website get penalized; update it to be responsive ASAP. Social media: We’ve said it plenty of times in this blog, but social media is your brand’s outlet to showcase its personality. Start planning next year’s social media plan to create a fun place to engage with your followers. out our list of the best tools to make things happen, and see if any seem worth adopting for your business. User experience: If you have to take away one thing, it’s this: always aim to improve the user experience for your audience, followers, and visitors. Here’s a starting point for you to accomplish that with your website. Video content: We’ve read plenty of blogs to know that video content and marketing is only going to become more important for businesses, so it might be worth exploring more in 2018. 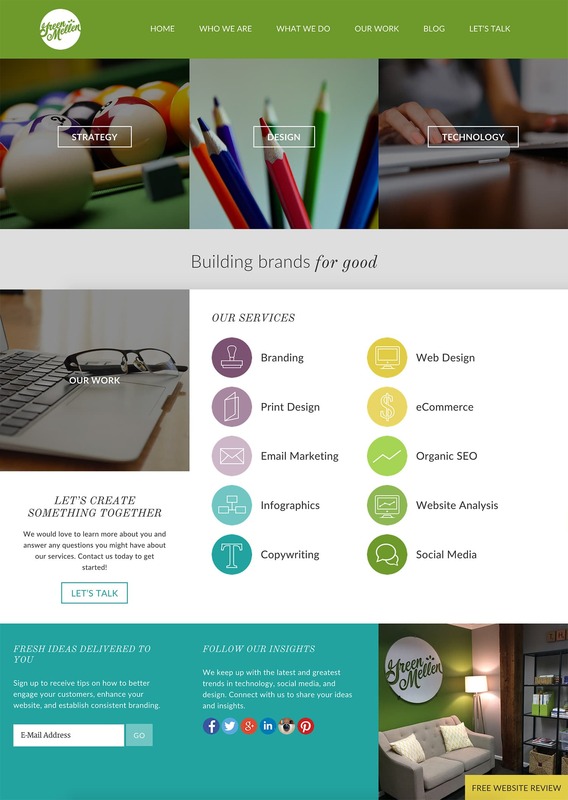 WordPress: We. Love. You. WordPress. For SO many reasons. As a professional web agency, we highly recommend your website is a WordPress website. X (cross)-marketing efforts: In case you don’t know what it is, cross-marketing is when two or more businesses come together for a common purpose. This doesn’t always have to be a digital marketing effort, though. Get creative with other local business and create a win-win situation. Your audience: Always be tailoring digital marketing efforts toward them. 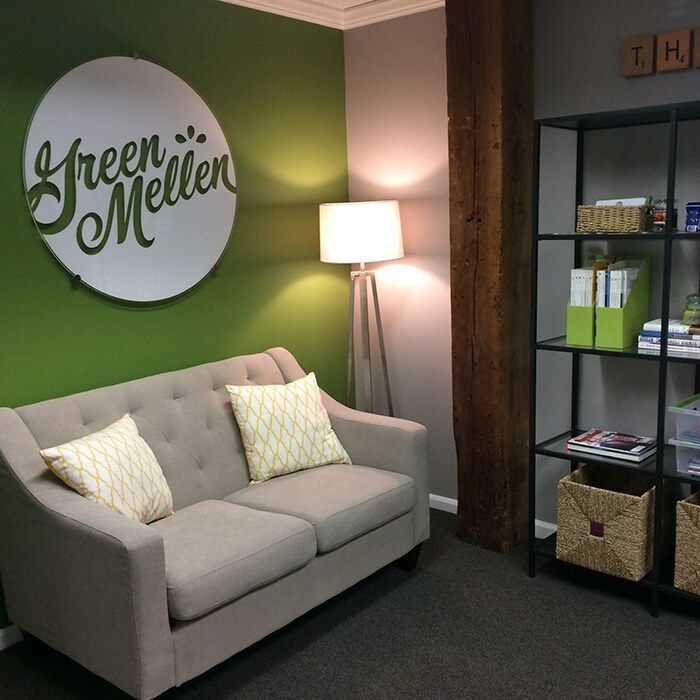 (Inbox) Zero: This is a personal goal we have at GreenMellen, but Inbox Zero ensures we can respond quickly to our customers and provide them with a seamless experience with our business. You could say points A-Y come into play at this point. Digital marketing may not always be as easy as A-B-C, but the effort you put into it will pay out in the long run. If you have any questions or comments about this post, give us a holler.